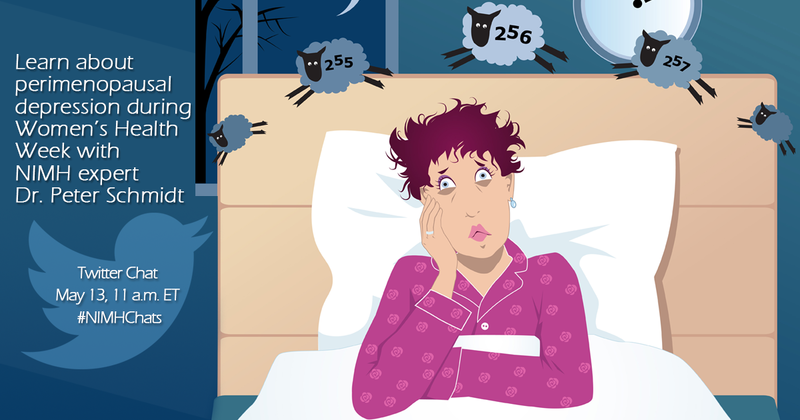 How long does perimenopause last, anyway? I, for one, am sick of it. While transitioning into menopause, women experience various physical, psychological, and social changes that may affect their quality of life. This transition period is known as perimenopause, which has been found to be a time of vulnerability for women to develop depression. Learn more about perimenopausal depression during our Twitter chat tomorrow on May 13th from 11 a.m. to 12 p.m. ET. Please use #NIMHChats to follow the discussion and ask questions. The report, “Racial/Ethnic Differences in Mental Health Service Use among Adults,” is based on combined National Survey on Drug Use and Health (NSDUH) data from 2008 to 2012. Researchers looked at how often adults in different racial and ethnic groups sought mental health services in the past year. Findings include estimates of overall service use, medication use, outpatient and inpatient service use, as well as reasons for not using services. The adults most likely to use mental health services in the past year (17.1%) were in the group reporting two or more races. This group was followed by white adults (16.6%), American Indian or Alaska Native adults (15.6%), followed by black (8.6), Hispanic (7.3) and Asian (4.9%) adults. The racial/ethnic groups most likely to use a prescription for psychiatric medication were white adults (14.4%), adults reporting two or more races (14.1%), and American Indian or Alaska Native adults (13.6%), followed by black (6.5%), Hispanic (5.7%), and Asian (3.1%) adults. Using outpatient mental health services in the past year was most common for adults reporting two or more races (8.8%), white adults (7.8%), and American Indian or Alaska Native adults (7.7%), followed by black (4.7%), Hispanic (3.8%), and Asian (2.5%) adults. Using inpatient mental health services in the past year was more common among black adults (1.4%) than white adults (0.7%). Cost of services / lack of insurance coverage was the most common reason for not using mental health services across all racial/ethnic groups. Believing that mental health services would not help was the least cited reason across all racial/ethnic groups. 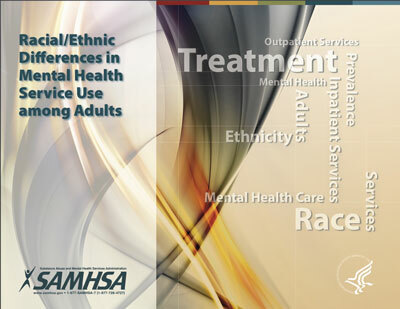 A downloadable copy of “Racial/Ethnic Differences in Mental Health Service Use among Adults” is available on the SAMHSA website. The main report is here . The appendices are here . via NIMH · A New Look at Racial/Ethnic Differences in Mental Health Service Use Among Adults. Having trouble viewing this post? View it as a Web page. It’s that time of year when I like to reflect on what progress has been made in our field over the course of the past 12 months. In my latest blog, I share what I believe to be the most exciting achievements in mental health research for 2014. Topping the list is the RAISE(Recovery After an Initial Schizophrenia Episode) research program. It was a watershed moment when, in the fiscal year (FY) 2014 appropriation bill, Congress set aside funding from the Substance Abuse and Mental Health Services Administration’s (SAMHSA) Community Mental Health Block Grant program for dissemination of evidence-based interventions for first episode psychosis similar to those tested in RAISE. SAMHSA and NIMH are collaborating to take full advantage of this unprecedented opportunity to move research into practice swiftly in contrast to the widely reported 17-year lag in adoption of evidence-based treatments by clinicians. Congress reaffirmed its commitment to this effort with continuation of this set aside in the recently enacted FY 2015 appropriation. We estimate that RAISE-like programs, called Collaborative Specialty Care (CSC), will be available in at least 29 states by October of 2015. While states are beginning to implement these models, or expand upon existing programs, outreach to individuals who experience first episode psychosis will be critical so they know about treatments that can help in the earliest stages of their illness. This issue of Outreach Connection features an example of how Partners are working to make communities aware of the RAISE approach. Your work engaging youth and young adults, families, providers, and other key stakeholders is all the more important now as states’ efforts get underway. The Voices of Recovery video series is a good example of a number of educational resources from the RAISE Connection program that can be used for outreach to the community. NIMH wishes you all the best this holiday season and as always commends you for your efforts to improve the lives of all those affected by mental illness. Outreach Partners inform their communities about the latest NIMH research through social media and other venues. The DC Behavioral Health Associationshared NIMH science news reporting findings about schizophrenia’s genetic profile with executive directors of mental health provider organizations at its regular membership meetings. To highlight suicide prevention research and efforts, NAMI New Hampshire featured Dr. Insel’s Greeting from OPP’s Fall 2014 Outreach Connection in its e-newsletter. The Pennsylvania Behavioral Health and Aging Coalition postedNIMH research findings on genetic regions linked to schizophrenia in its e-newsletter. The Southern California Clinical and Translational Science Institute (SC CTSI), the co-Outreach Partner in Southern California, featured the latest issue of Inside NIMH in its Mental Health News You Can Use e-newsletter. NAMI Virginia created a quarterly research e-newsletter to highlight NIMH-funded research findings and share announcements about studies seeking research participants. Outreach Partners get NIMH materials and information directly in the hands of community members through a variety of forums. NAMI Indiana used large print and regular print NIMH materials for a training session to senior housing case workers about mental illness and the elderly. The NIMH video on the symptoms and treatment of depression was shown at a suicide prevention workshop at the annual conference of the Association of Community Mental Health Centers of Kansas, Inc.
NIMH materials on suicide anddepression were made available to middle school students by Mental Health America of Louisiana at a school assembly about bullying prevention. The Mental Health Association of Maryland incorporated the NIMH men and depression brochure into a training event for older adults. The Massachusetts Association of Mental Health distributed NIMH materials at a Summit on Elder Behavioral Health, which brought together a range of stakeholders to dialogue on the challenges serving the growing aging population. The Behavioral Health Education Center of Nebraska providedNIMH materials in Spanish to pre-kindergarten through public high school staff for distribution to educators and families. The Mental Health Association Oklahoma co-hosted a girls’ and mothers’ conference for the African American community in Tulsa. NIMH resources were distributed to supplement the open discussion on issues facing teen girls, including depression, suicide, and addictions. The University of North Dakota Center for Rural Healthhighlighted the availability of NIMH publications in its e-newsletter. The Puerto Rico Outreach Partner, the Institute for Psychological Research, distributed NIMH publications as part of outreach activities to University of Puerto Rico students. As part of its “back to school activities,” the East Texas Area Health Education Center disseminated NIMH materials about depression, social phobia, and anxiety to its partners across the state of Texas. Outreach Partners conduct outreach projects addressing mental disorders among children and adolescents, or mental health disparities. Rural and frontier communities in northeast Montana have been significantly impacted by the oil boom of Bakken Oil field in Montana and North Dakota. While the influx of jobs and job-seekers has been a positive for these largely underserved communities, there are also downsides. With stressed infrastructures and families, youth in a psychiatric crisis often end up in a jail or detention setting rather than a nurturing environment focused on utilizing the strengths and resources of the youth, family, and community. In response to this growing challenge, Mental Health America of Montana (MHA of MT) has created the Youth Crisis Diversion Project (YCD) to work directly with law enforcement, youth probation, youth mental health, schools, and other community stakeholders who may determine a youth to be at risk and in need of temporary safe diversion associated with a mental health crisis. Most diversion interventions are six hours to 24 hours in length and involve MHA of MT YCD workers engaging the family and community resources to secure a mental health provider and support services to maintain the youth in the community. YCD on-going activities in these communities include the development of “safe” local solutions within each county and community; recruitment of staff who have diversity and expertise with families and children who have been involved with the children’s system of care; and collaboration with community stakeholders who are “first responders” to youth in mental health crisis. MHA of MT is collecting data about the youth served by this new project, and an evaluation of YCD is planned to begin next year. MHA of MT has used NIMH materials and information as part of its outreach and training activities to stakeholders in these communities. For example, recently YCD trainers distributed NIMH publications and showed the Development of the Young Brain video at three law enforcement trainings on children’s mental health, and how to best stabilize and provide safety for youth in crisis. Outreach Partners are informing their communities about NIMH-funded trials actively recruiting participants. NAMI Alabama promoted NIMH studies at a number of community events in partnership with Hispanic and African American serving organizations. Participants received copies of the NIMH’s A Participant’s Guide to Mental Health Clinical Research and were encouraged to check out study information on the NIMH Clinical Trials webpage. The Mental Health Association in Delaware used content from the NIMH A Participant’s Guide to Mental Health Clinical Research to create a newsletter article about participating in clinical trials. Mental Health America of California shared an NIMH DIRP announcement about a severe mood dysregulation trial recruiting participants on its Facebook page. SC CTSI shared through itsenewsletter an NIH Record article about the NIH Clinical Research and Youwebsite which puts clinical research into familiar terms, and offers resources for potential participants to explore clinical research. Through its e-newsletter, NAMI Minnesota linked to a list of studies in Minnesota seeking participants on ClinicalTrials.gov. NAMI New York State’s (NAMI NYS) 2014 Education Conferencefeatured a session by NIMH DIRP staff on the importance of participating in NIMH Clinical Trials. Participants learned the benefits of research participation and the role it plays in understanding and improving care for psychiatric diseases. Mental Health America of Texas posted study information aboutNIMH DIRP studies currently recruiting in its “Stop Suicide” Daily online news. Partners provide opportunities for NIMH scientists and grantees to present their findings at local meetings and conferences. NAMI New Jersey’s 2014 Annual Meetingfeatured NIMH grantee, Michelle Burns, PhDof the Northwestern University Feinberg School of Medicine, addressing her research on behavioral intervention technologies. 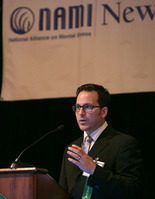 The NAMI NYS 2014 Education Conference featured NIMH research in a number of sessions, including a presentation about the NIMH RAISEstudy and the keynote by NIMH grantee, Stephan Glatt, PhD, Director of the Psychiatric Genetic Epidemiology and Neurobiology Laboratory at SUNY Upstate Medical University. In addition, Dwight Dickenson, PhD, of the NIMH DIRPClinical Brain Disorders Branch led a workshop about his schizophrenia research. Outreach Connection is a service of the National Institute of Mental Health’s (NIMH) Outreach Partnership Program (OPP). The NIMH Outreach Partnership Program Pre-Solicitation Notice – HHS-NIH-NIDA-SSSA-RFP-15-34for all states, the District of Columbia, and Puerto Rico is available on the FedBizOpps website. NIMH’s Postpartum Depression Factsis now available in Spanish. With NIMH’s new mobile-friendly website, visitors can access NIMH information and resources anywhere, anytime, and on any device—from desktop computers to tablets and mobile phones. Former Secretary of State Hillary Clinton and NIMH Director Thomas Insel were both honored at the Child Mind Institute’s fifth annual Child Advocacy Award Dinner. The Society for Neurosciencerecognized Dr. Amara’s crucial research in understanding the pathophysiology of mental illnesses and her exemplary efforts in mentoring young scientists. Dr. Amara is the Scientific Director of the NIMHDivision of Intramural Research Programs (DIRP). Check out National Institute on Drug Abuse resources available to educate your community about addiction. 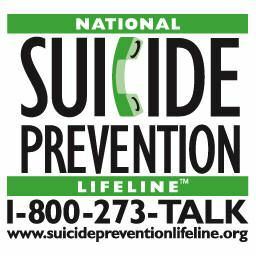 Consider using the NIMH Depression and Heart Disease brochure. NIMH offers educational resourcesthat can be used in schools and other community settings to help explain how the brain works. The Teen Brain: Still Under Construction brochure is available to help explain the changes in the teen brain. Consider using videos about the developing brain and the brain’s wiring in 3D in your activities. Take a look at the NIMH publication, A Parent’s Guide to Autism Spectrum Disorder, and other NIMH resourceson autism. The Brain and Behavior Research Foundation blogged about a recently launched NIMH-funded studyto develop and test a personalized, computer-based suicide risk screening tool to help emergency departments identify troubled teenagers. NAMI National blogged about theMental Health Block Grant program for First Episode Psychosis, and highlighted the NIMH Recovery After an Initial Schizophrenia Episode(RAISE) study in an accompanyingfact sheet. The American Psychiatric Nurses Association tweeted the availability of a meeting summary of an NIMH meeting on childhood irritability. The Children’s Mental Health Networkhighlighted recent findings from theRAISE study in its e-newsletter. 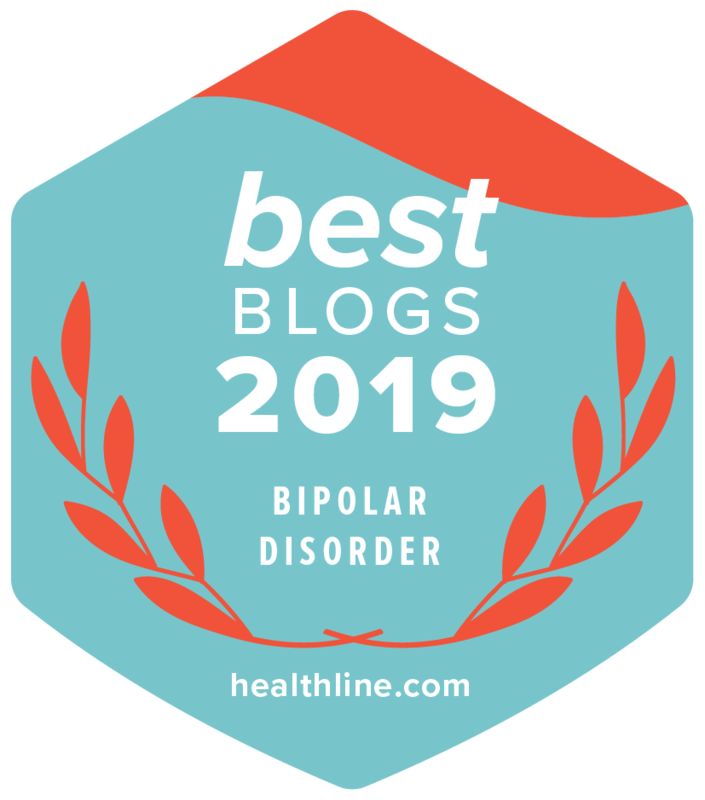 The Depression Bipolar Support Alliance interviewed two NIMH DIRP scientists for its Educational Podcast Series: Daniel Pine, MD, addressing anxiety and depression in children and adolescents, and Ken Towbin, MD, discussing the diagnosis of bipolar disorder in children. NAMI honored NIMH grantee Lisa Dixon, MD, MPH, Professor of Psychiatry at the Columbia University Medical Center. Among her accomplishments, Dr. Dixon is a principal investigator for the NIMH RAISE study. Thank you for promoting NIMH’s recent Twitter Chat on Seasonal Affective Disorder. The chat reached over a million accounts. 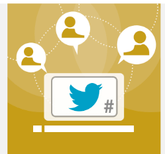 NIMH’s next Twitter Chat will be held on January 12, 2015 at 11AM. Join us on Twitter to discuss participation in clinical research. The NIMH DIRP in Bethesda, MD is seeking participants for the following trials. Spread the word. Several studies are identifying the physical traits of adult depression and investigating medications that rapidly reduce symptoms. For info and eligibility criteria go to webpage. The Outreach Partnership Program, a nationwide initiative of the National Institute of Mental Health Office of Constituency Relations and Public Liaison (OCRPL), works to increase the public’s access to science-based mental health information through partnerships with national and state nonprofit organizations. The core component of the program consists of55 Outreach Partners representing all states, the District of Columbia, and Puerto Rico. In addition, over 80 non-profit organizations participate in the program as National Partners, including professional, consumer, advocacy, and service-related organizations with a nationwide membership and/or audience. NIMH cannot guarantee the accuracy of information provided on external websites. Linking to a non-NIH website does not indicate an endorsement by NIMH of the sponsors or of the information and products presented on the website.